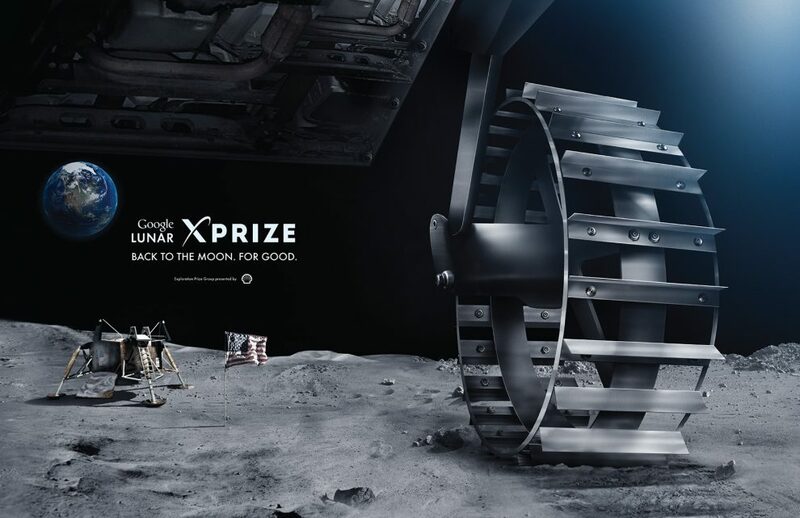 After months of stating that it would offer no further extensions of the Google Lunar X Prize competition, the X Prize Foundation announced Aug. 16 it was effectively giving the five remaining teams a little extra time. In a statement, the foundation, which administers the lunar landing competition, said that teams now had until March 31, 2018, to complete all the requirements of the prize, which include landing on the lunar surface, traveling at least 500 meters, and returning video and other data. Prior to the announcement, teams had until the end of 2017 to launch their missions. The revised deadline, therefore, offers an extension of less than three months, to account for the time needed for each team’s spacecraft to travel to and land on the moon and perform required activities there. The foundation, in the statement announcing the revised deadline, did not give a reason for the change. In a later statement provided to SpaceNews, Chanda Gonzales-Mowrer, senior director of the Google Lunar X Prize, described the change as a “re-focus” rather an explicit extension. In the past, foundation officials had said that the end-of-2017 deadline — originally for completing the mission and revised earlier this year to just launching the spacecraft — was firm. “We’re stuck now with this timeline,” Andrew Barton, at the time the technical director of the prize, said last September in a presentation at the International Astronautical Congress in Mexico. In a June 29 speech at the NewSpace 2017 conference in San Francisco, Amanda Stiles, the current director of technical operations for the prize, reiterated that there were no plans for further extensions of the prize. Stiles added, though, that the X Prize Foundation was open to considering a range of options should it become clear that no team was likely to win the prize by the end-of-2017 deadline, but said any such discussions would not take place until “much later” this year. “We don’t really feel like that’s necessary at this point,” she said in the June speech. However, with four and a half months until the end of the year, it had become increasingly clear that most, if not all, of the teams would not be ready to launch. SpaceIL, an Israeli team that was the first to have its launch contract validated by the foundation in 2015, has had its launch, as a rideshare payload on a SpaceX Falcon 9, delayed until early 2018. Team Indus, an Indian team with a contract to launch on a Polar Satellite Launch Vehicle, has set a launch date for its mission, which will also carry a rover from Japan’s Team Hakuto, of Dec. 28. However, in a July 30 statement, Rahul Narayan, leader of Team Indus, acknowledged that meeting that launch date would be a challenge. “We have backed ourselves to meet some pretty crazy deadlines before, and are committing to keep trying until we have exhausted all possible options of winning the Grand Prize,” he wrote. He added that Team Indus “would need to clear multiple tests, certifications and rehearsals before we get onto the launch pad,” which have yet to be completed. Synergy Moon plans to launch its lunar lander on a Neptune 8 rocket by Interorbital Systems of Mojave, California. That rocket has yet to fly, and Interorbital has, to date, performed only low-altitude flight tests of smaller versions of the Neptune. Moon Express has a multiple-launch contract with Rocket Lab to launch its MX-1E lander on an Electron rocket. That rocket performed a partially successful initial launch in May, and the company said Aug. 6 it was planning a second test launch in October. If that second launch is successful, Rocket Lab Chief Executive Peter Beck said the company would then move into commercial operations, in time to support a launch of Moon Express by the end of the year. “We’re in a good position to fulfill that customer, for sure,” he said in an Aug. 6 interview. Bob Richards, chief executive of Moon Express, appreciated the extra time regardless of whether or not the team needs it. “Removing the constraint of a 2017 launch deadline is also a welcome development,” he said Aug. 16. In addition to the revised deadline, the X Prize Foundation announced two additional milestone prizes. A $1.75 million Lunar Arrival Milestone Prize will be split among the teams that either place a spacecraft into orbit around the moon or attempt a landing by March 31. A $3 million Soft Landing Milestone Prize will be shared among the teams that successfully make a landing. Those prizes would be deducted from the $20 million grand prize or $5 million second prize that any team won. The new prizes also had the backing of Moon Express’ Richards. “The lunar arrival and soft landing milestone prizes are a great addition to the Google Lunar X Prize and are well aligned with major risk points of the competition,” he said.